UKIP’s director of policy Tim Aker MEP has given a tantalising glance at the thought processes and policies going into the party’s manifesto during a conversation with Prospect Magazine. Aker claims the party is moving beyond the “left-right, authoritarian-libertarian” paradigm with it’s manifesto which is set to be revealed at the party’s annual conference in Doncaster next month. The interview revealed that the manifesto has what appears to have red meat to lure disgruntled voters from Labour and the Conservatives alike. No increase in retirement age. Creation of a new government ‘Veterans Department’ to bring all veteran support organisations “under one roof”. Higher Job Seekers’ benefit to be paid to those who “who work and pay into the pot”. A ‘Complete Skills Review’ and increased Vocational training are mentioned. Presumably UKIP won’t be dropping it’s support for Grammar schools. Boosting the strength of the border force. Through a policy of ‘direct democracy’ citizen petitions will trigger referenda if they attain a certain size. 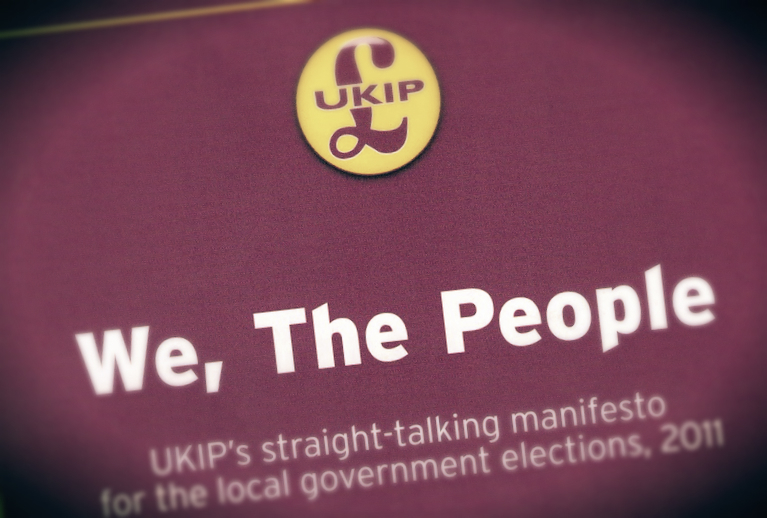 The full UKIP manifesto will be unveiled at their September conference, to be held in Doncaster. Breitbart London has sought clarification on a number of points raised by Aker in the interview, including as to whether the EU’s health card will be considered a valid form of medical insurance, and whether or not certain promises have been fully costed.